I have just written my formal objection to the Tory plan to introduce parking charges at the Park & Ride sites. Anyone parking for more than hour will face a £1 charge, which rises to £30 depending on how long you park for. 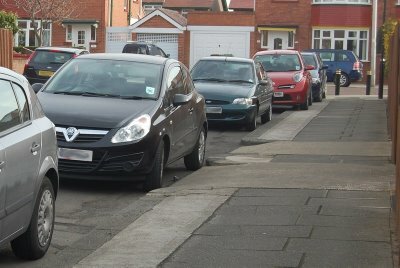 There are season tickets for weekly, four-weekly and annual parkers, although the weekly parking ticket offers no discount over the daily charge. The parking charges will be on top of bus fares. The Council invites representations and comments and I am sure they will receive plenty; although as the Tories have already taken the decision, the consultation appears artificial. You might wish to comment on the charging structure, eg season tickets. The parking charges are being imposed to stem the deficit in the Park & Ride accounts and in the words of Cllr MacGuire, the Tory councillor in charge of the Park & Ride sites, ‘to catch’ people who don’t take the bus in after parking, but walk or cycle. Liberal Democrats have warned of the risk of reducing usage of the Park & Ride sites, pushing parking elsewhere as well as increasing traffic in the city. We would prefer other ways of making money at the sites to be investigated, such as small-scale retail concessions, or reviewing bus operators’ departure charges. Send your comments to [email protected] by 14th February, quoting reference PR0074. Cambridgeshire County Council is starting work on extending the popular Babraham Road Park & Ride site. The Babraham Road site is the most used of the five Cambridge Park and Ride sites and the expansion is needed to ensure there are enough parking spaces for people wishing to use the highly successful service into and across Cambridge. Most weekdays the site is full for around two hours and 90% of spaces are taken for four hours. On weekends, 90% of all spaces are full for three hours a day. The expansion project will increase the existing capacity of 1000 car parking spaces by about 500 and add a further 80 sheltered cycle parking spaces. The extension is expected to cost £2 million, with funding provided from developers in the area served by the Park and Ride. 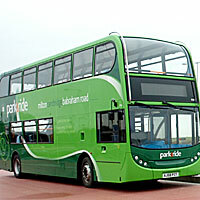 The construction will not affect the normal operation of the Park and Ride service. However a very small number of existing parking spaces around the work site will not be available. The extended site is expected to be available in time for Christmas.